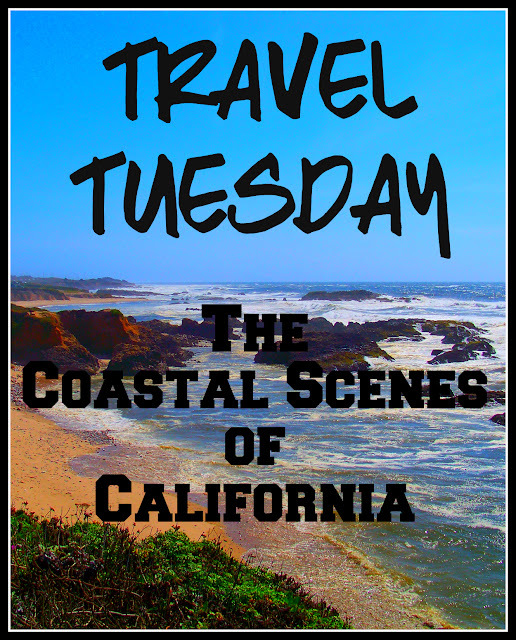 Today for Travel Tuesday I am going to showcase a drive along the California Coast. Obviously, they have a very long coast, some of the best views are further north. 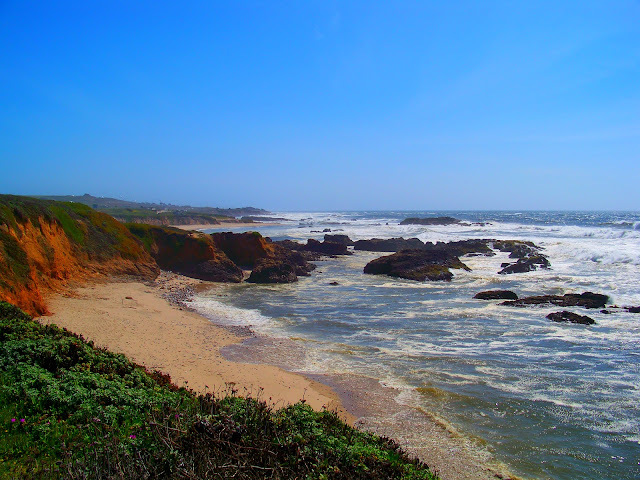 I decided to pick a shorter section the area between Big Sur, Carmel and Monterey, California for today's post. I know I have mentioned this before, I have found beauty in almost every state I have ever visited. However, if I ever had to move from the beautiful state of Utah, California would be my next choice! I'm showing you scenic views along the coastal HWY 1 between Big Sur and Carmel, CA. If you take the drive it's about 1 hour. However, you will likely add another hour or two if you take the time to stop and enjoy the views or do a little coastal hiking! In this section of HWY 1, you will come across the famous Bixby Bridge. Big Sur itself has lots of hiking and camping up in and around the big massive beautiful sequoia tree's. If you like to run, I highly recommend the Big Sur International Marathon, as you'll get a first hand view on foot as you run 26.2 miles along this exact sections of the coast. As you come up to Carmel, and the Monterey area you will find lots of parks, and beaches. You can also visit Lovers Point Park, which is one of the only spots on the West Coast that you can watch the sunrise come up across the coast in the morning. 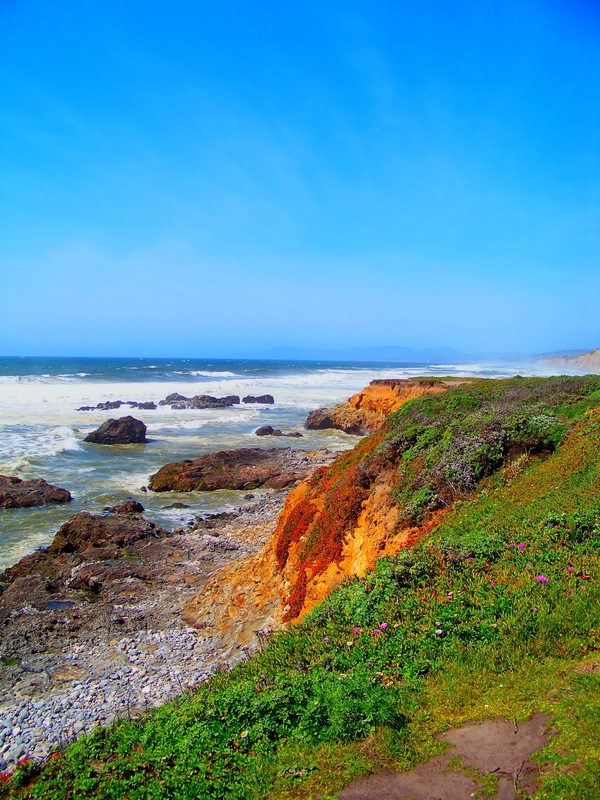 There are lots of sights and stunning views and things to do along this section of the California coast. If you are ever visiting the area, I highly recommend you take the drive and spend a little time sight seeing. It's definitely more than worth it! Have you taken the Coastal drive in this section of California before? What are your favorite Coastal drives to take? Oh wow. 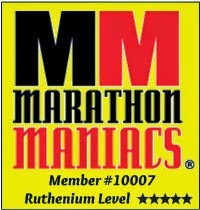 This is where i will be running in April!!!!!! I cannot wait. Gorgeous! 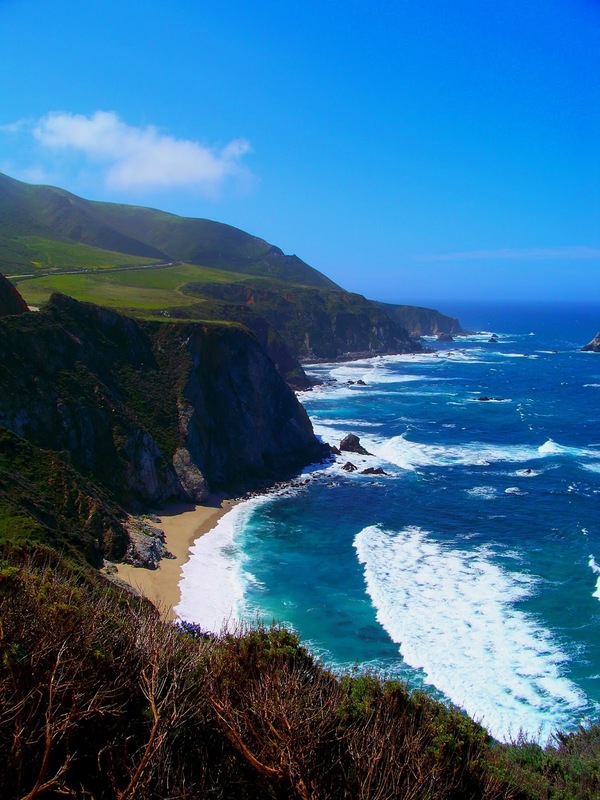 I have only been on the pacific coast highway for a short duration but Big Sur Marathon is on my bucket list for next year! Since I DNS the big Sur marathon I never got to see all this except in my sister's pictures. I did go to CA only once but only stayed at Disney. 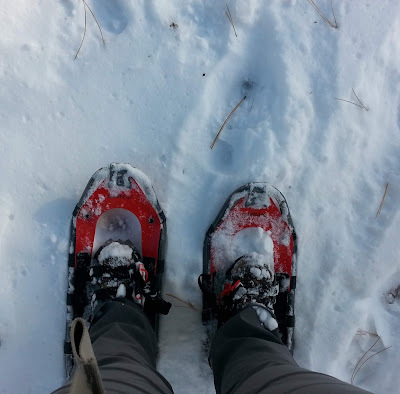 Would love to go again and do more exploring! These views are absolutely gorgeous! I'd love to be able to go for a run with views like these to enjoy during my run. Maybe someday I'll get back out to California and can experience some of these firsthand. Oh wow – the view looks so stunning. I’d love to run that coast line every single day!!! Gorgeous views. I think I'd love to live in California too. That's awesome, you are going to love it!!! I hope you do get a chance to go there again some day, maybe even try the marathon too I just know you'd love it! LOL seriously huh! I would only really move there if I had to:) But if I did, at least it would be gorgeous! I hope you do get out to this area sometime, seriously it's a part of the country definitely worth seeing!!! I totally hear ya there!!! Thanks! Yes, they do have a beautiful state! I've been to this area of the country once, but would love to go again! Gorgeous! Beautiful pictures Kristy!! 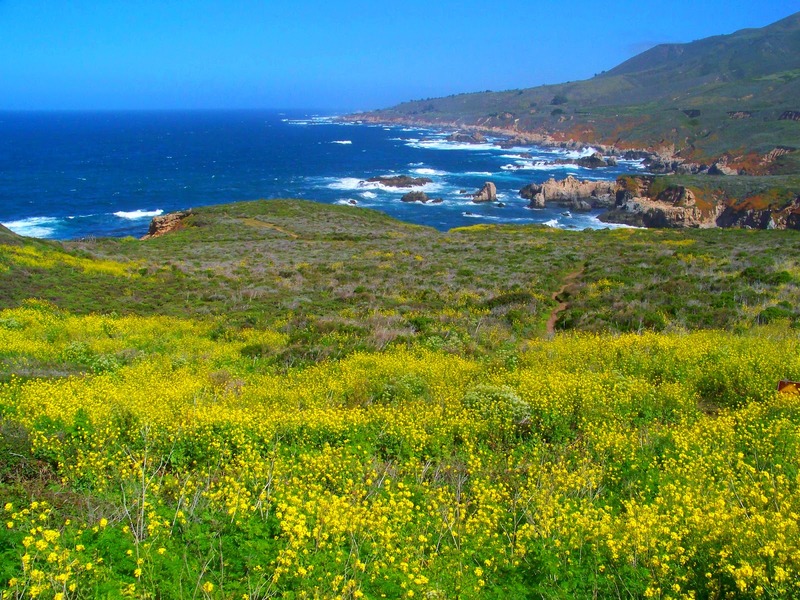 Big Sur Marathon is on my bucket list! Gorgeous! It been a long time since I drove along the California coast with my family. I also love the Oregon coast, too! Looks like a gorgeous area of the country! A few friends and I thought about doing the Big Sur half marathon one year but we didn't get our act together fast enough and the race sold out before we could register. Maybe one of these years it will work out! My husband and I went to San Fran about 4 years ago and we drove down route 1 to Big Sur. It was beautiful!!!!! 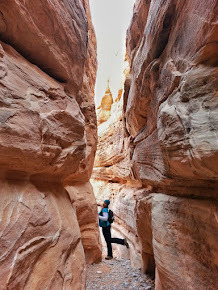 Oh it's a gorgeous place to run, if you ever make it back there it's a must see area! Hope you do get to visit again sometime, it really is a beautiful place, isn't it! I have never been to the Oregon coast, but I have heard amazing things, I hope to do it one day! Oh no, well I hope you can get in one year and do it. I know it sells out each year, I can't remember but I think when I did it, it was a lottery too. But it's SO WORTH IT! Hope you can give it a try sometime!